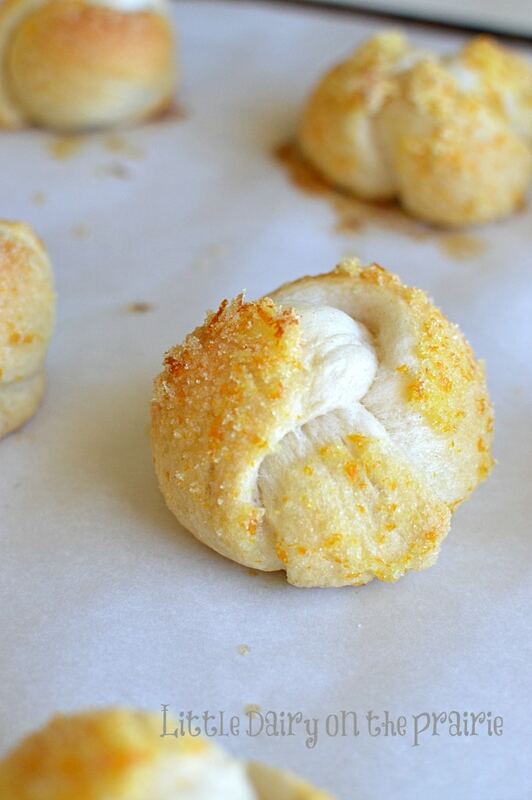 Amy from Little Dairy on the Prairie is back with a delicious Orange Knots recipe today. These pictures make me so hungry! 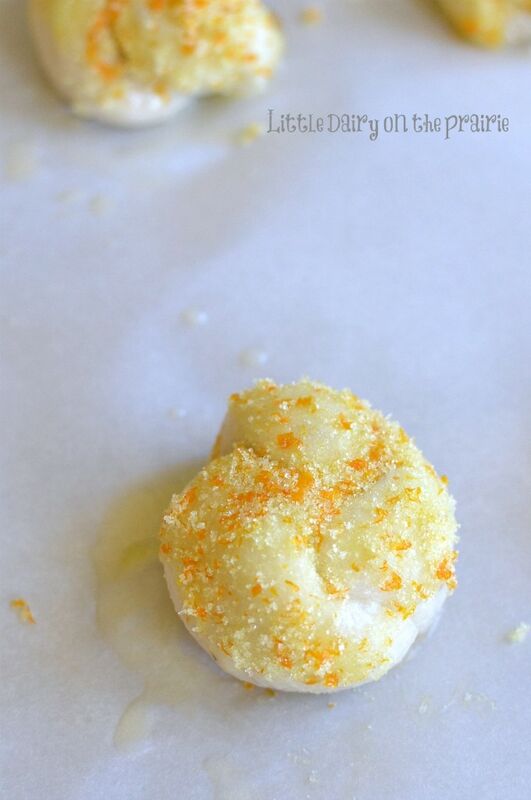 Do you ever want all that Orange Sweet Roll yumminess without all the fuss? Me too! 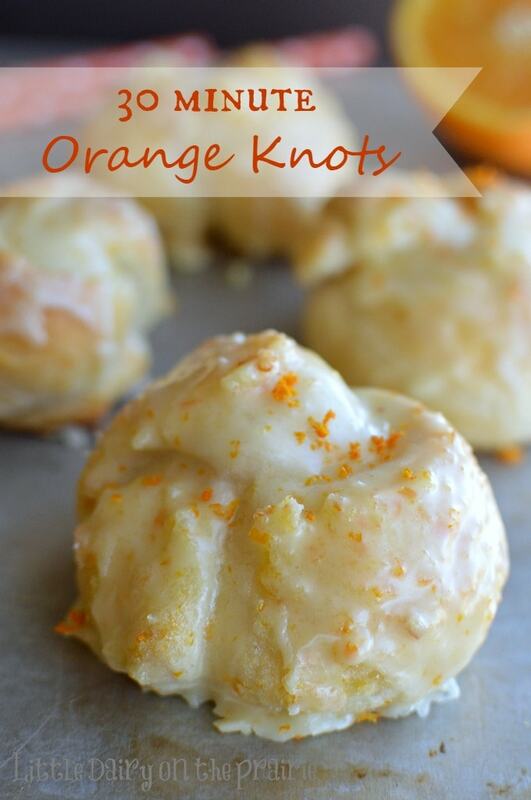 Even though these Orange Knots are semi-homemade, they are irresistible! Breakfast happens to be one of my favorite meals of the day! In fact, I could easily be convinced to eat breakfast for dinner a few nights a week. At my house that meal is called “brinner”! Mornings are the busiest time of the day for most moms. On top of finding homework, tying shoes, packing lunches, reminding the boys to brush their teeth and watching for the bus…I’m supposed to create a great breakfast. Make ahead and quick breakfast ideas save my life, and my sanity! 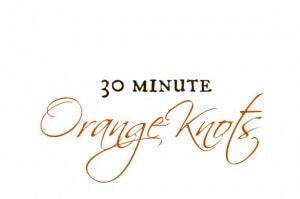 30 Minute Orange Knots are not only quick to throw together, but are insanely delicious! The smell of these little beauties wafting through the air gives my boys a reason to get out of bed! You are going to be impressed with how simple these are to make. 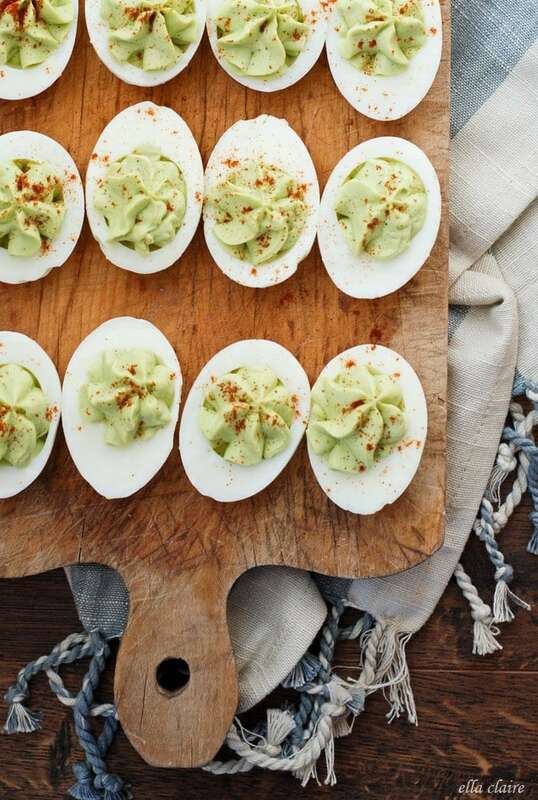 In fact, they are so simple and yummy I’m planning to make them for Easter brunch and Mother’s Day (Yes, I do the cooking on Mother’s Day). 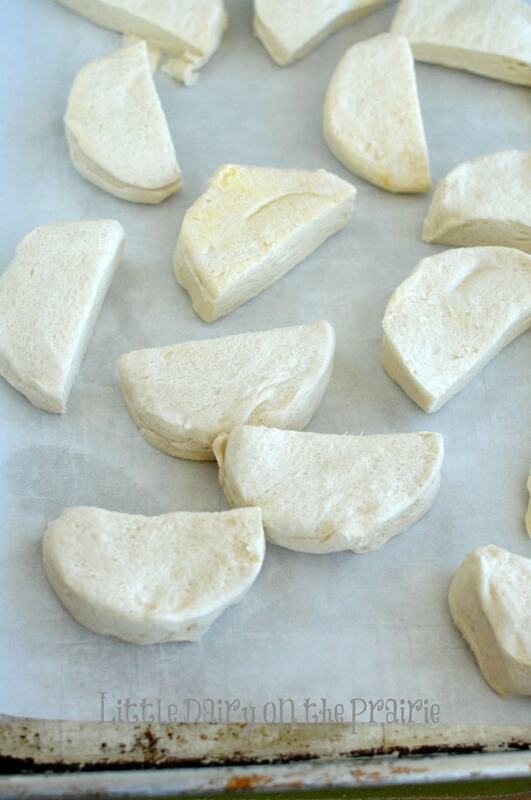 Take a can of biscuits and cut them in half. Roll each half into ropes. Tie each rope in a loose knot and tuck the ends under. I tied mine too tight and forgot to take pictures of this step. If you can tie your shoe, you can figure it out! 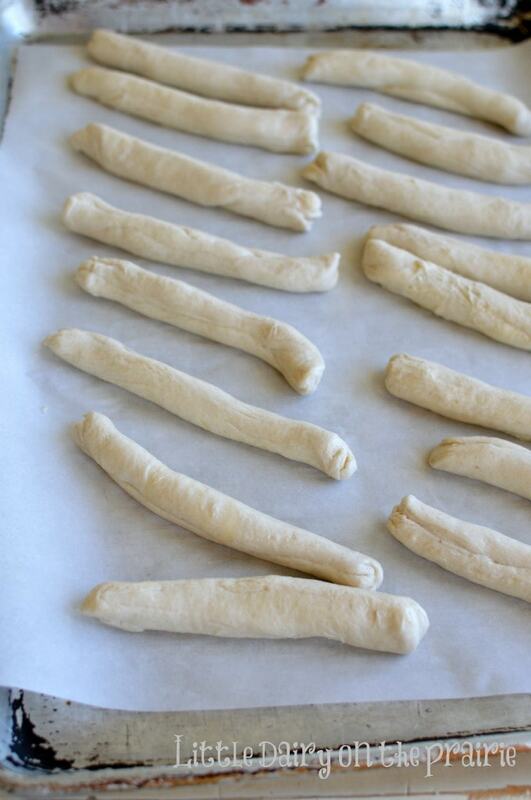 Brush the top of each knot with melted butter. Then dip it in orange sugar mixture. Bake for a about 10 minutes. After they come out of the oven they will be buttery, flaky, and golden brown. One of my boys begged me to let him lick the sugar off the top. I convinced him that good things come to those who wait! 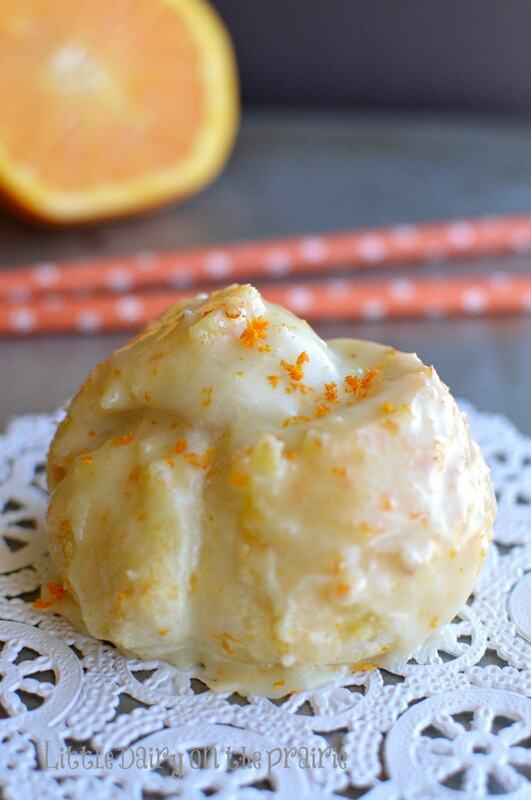 …Good things like orange glaze brushed on a warm sweet roll! 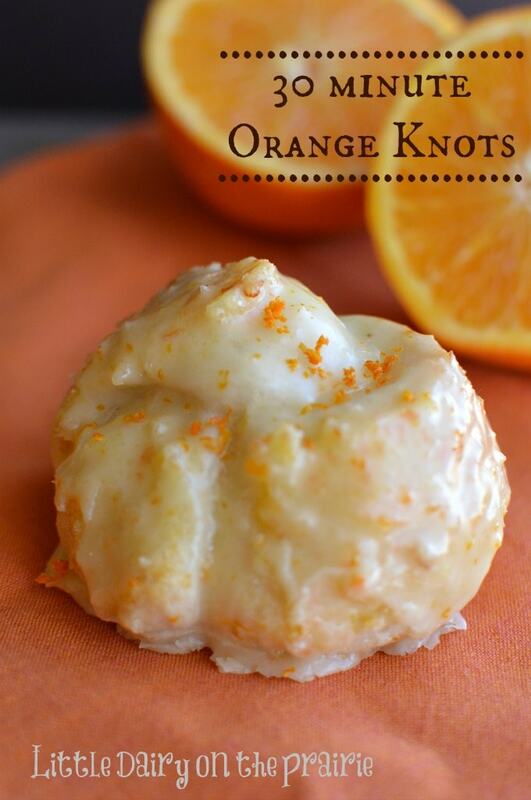 Of course Orange Knots are best when they are still warm and dripping with glaze! If you know you are going to have a super busy morning you can always make them the night before and warm them up for a few seconds before serving them. You are going to be coming back to this recipe morning after morning! 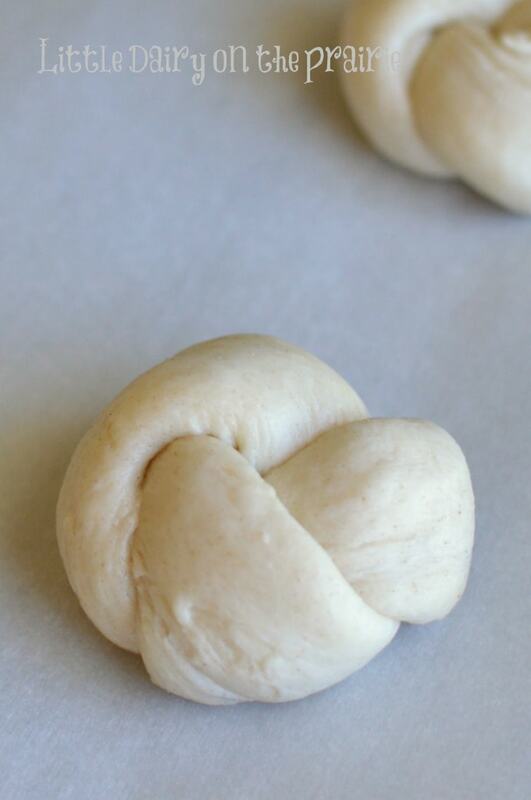 These cute little knots are that good! Some of my favorite make ahead or quick breakfasts are Cranberry Almond Granola, Chocolate Greek Yogurt Parfaits or Make Ahead Breakfast Sliders! These would be lovely with a cuppa tea. An easy Easter definite do, well done, you!!! Thanks Suzanne! They would perfect at a tea party! Oh my goodness! These look so delicious and I love how easier they are! I will be making these very soon…like this weekend! Thanks for the recipe! I love easy recipes! Enjoy! Have a fabulous weekend! Amy, these look delicious! Can I come over for Brinner? I am thinking of making these for Easter breakfast. Thanks for sharing!